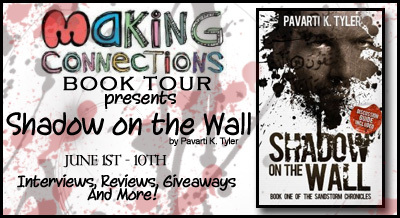 I know I’m running a little late today, but I do want to welcome Pavarti K Tyler’s Blog Tour for her new book, Shadow on the Wall. Check out the first book in The Sandstorm Chronicles to see a new breed of super hero emerging, totally different than what you’re used to. Knock. Just one solid sound. Recai sat up too quickly and fell back against his mattress gasping as Rebekah stuck her head into his small room, her face creased with worry and fear. “Cover yourself and stay silent,” she whispered before closing the door and rushing back into the living room to retrieve her burqa and open the door. Recai heard the movement of the heavy fabric she wore on top of her house dress as she moved across the room to greet their visitor. He wondered if she had retrieved her father’s gun which he’d overheard Hasad say was under the couch in the living room. Before hiding beneath the thin sheet that covered him, he reached down and pulled the rug from the floor and threw it across his legs. He covered his head and melted against the wall with the pillow on top of his upper body. Feeling foolish, Recai laid there, wishing he had his ID, his phone, anything to help bribe his way out of this situation if it was indeed the RTK at the door. Perhaps it’s just a neighbor, he thought. A neighbor come to ask after Rebekah’s father’s health or to borrow some salt. His attempt at rationalizing the unexpected visit did not quell his fears. The RTK made a habit of performing home inspections, especially if they suspected a woman alone. It wasn’t a safe time for anyone under the jurisdiction of Mayor Yilmaz. Later, Pavarti went to work in the finance industry as a freelance accountant for several international law firms. She now operates her own accounting firm in the Washington DC area, where she lives with her husband, two daughters and two terrible dogs. When not preparing taxes, she is hard at work as the Director of Publicity at Novel Publicity and penning her next novel. 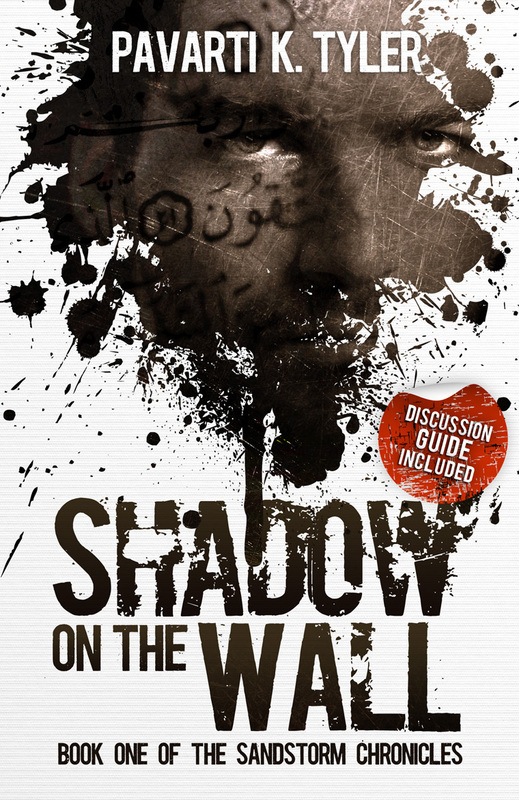 Shadow on the Wall by Pavarti K Tyler is available NOW at Amazon.com or your local bookstore. 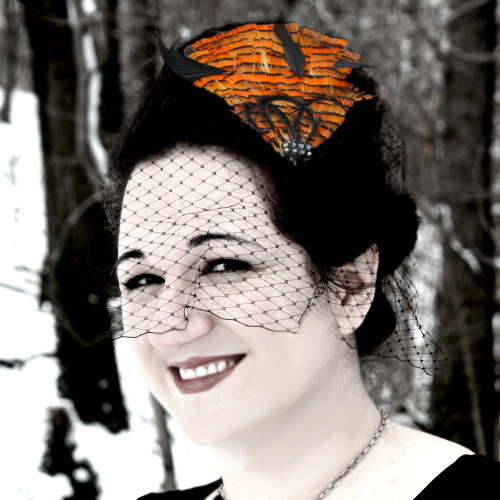 Pavarti’s Blog Tour celebrating the release of Shadow will last the entire month of May. 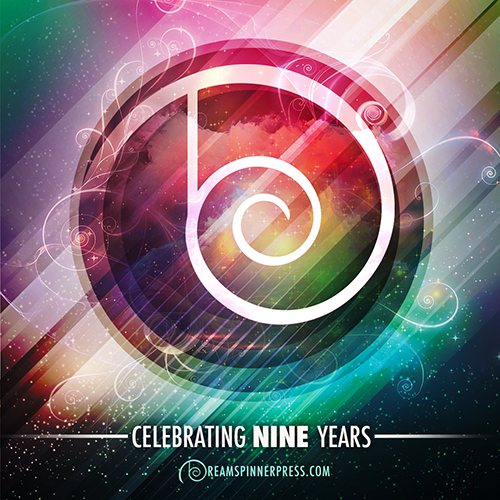 Check out her Blog Tour Page for a list of all the stops, including giveaways, interviews, reviews, guest posts and other exciting events!